One of the steps for protecting yourself against viruses and hackers is not to open emails from unknown senders. This is a lesson for you; make sure the welcome email you send to your customers states your name clearly so your customers know the email is from a trusted source and not a way to infect their PC or other devices. How can you do this? By using the same name that your customers signed up for. Using a different name is going to cause confusion and you will be in the spam folder before you know it. This means reminding your audience why they are getting an email from you. It is common for people to sign up for stuff online and then completely forget about it. Hence, your welcome email should not just welcome them, but also remind them of the reason behind it. The best way to capture the interest of your clientele and to retain it is to show them your human side. This is not when you act aloof and professional; this is the time when you have to be memorable and funny, when you need to be personal and inspirational. Instead of making a generic sales pitch, you have the opportunity of giving your clients something to remember you by and make sure it counts. 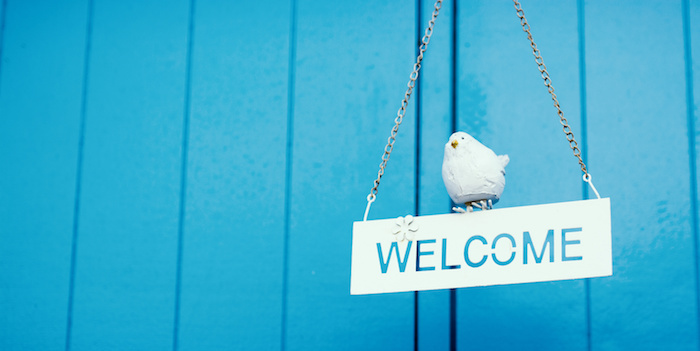 It is also your job to ensure that the welcome email represents your brand and company. You will be able to create a stronger impression on your customers through visual consistency across different media. Use your company logo or your signature in your welcome email to make sure your welcome email reflects your company’s image and culture. A great way of maintaining interest to give your subscribers something. If their move was a whim, you have to make it worthy. Give them free coupons or offer them something for their show of faith and you will be able to turn them into loyal customers.